Social accounts will become disconnected from time to time. Whilst this can be frustrating, it's good to keep in mind that this is normal behaviour and is usually the result of the social network making a change to keep your account safe and secure. 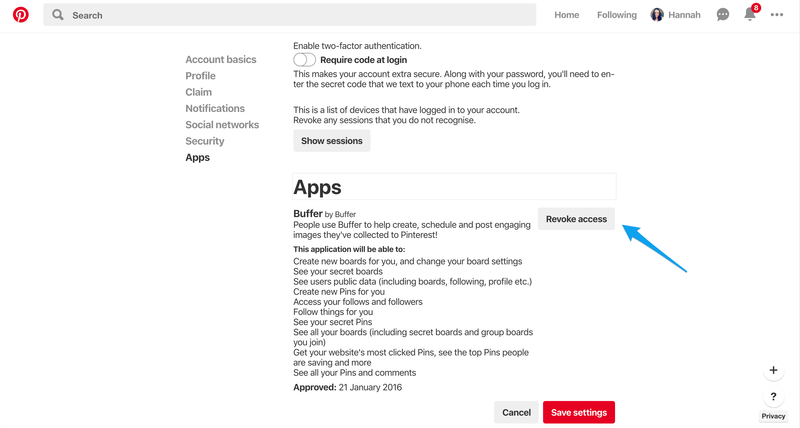 Connections between Buffer Publish and your social accounts require access tokens, which can expire for a number of reasons, including password changes and explicit lifespans of an access token. Learn more about access tokens, and how and when they might expire, here. Most commonly, social accounts only require a simple reconnection. However, on some occasions, a simple reconnect won't do the trick, and instead your social account will need to be fully reauthorized. Select the disconnected social account on the left hand side of your dashboard and then head to Settings > Reconnect. You'll be prompted to enter your login details and after that, you should be all set. If you have any failed posts in your Queue, you can now go ahead and retry them. Clicking Retry in Buffer will add your post to the next available time slot according to your Posting Schedule. Clicking Retry Now will publish your post immediately. 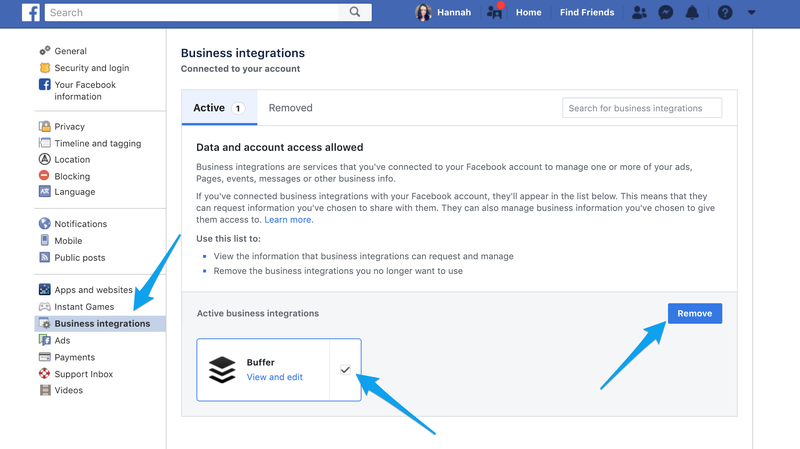 In order to reconnect a Facebook Page, your personal Facebook Profile will either need to be the owner of the Page or alternatively have the "Page Admin" role. 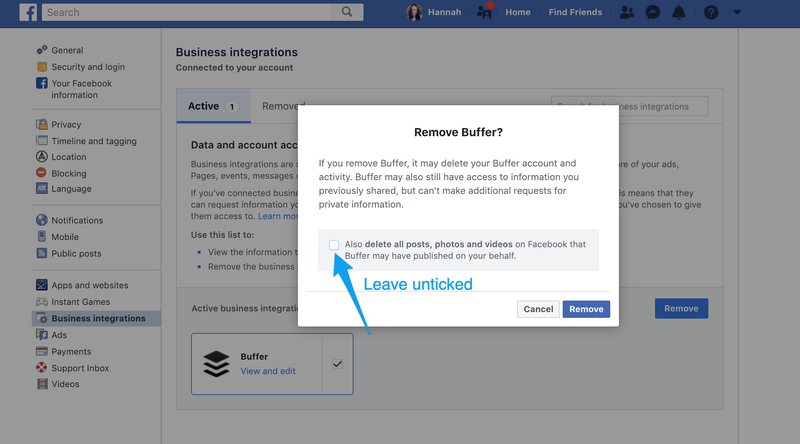 Although it's possible to connect Facebook Pages if you have the "Page Editor" role, it is not possible to reconnect them with this level of permission. If multiple Facebook Pages have become disconnected, and they were authorised through your own personal Facebook Profile, reconnecting one of them, should also reconnect the rest. If you're reconnecting an Instagram account, please ensure you are logging into your personal Facebook Profile that has the Admin Role on the Facebook Page connected to your Instagram Business Profile. Head over to you your LinkedIn account, click on your profile image in the top right corner, and then click Settings & Privacy. Click on Partners & Services on the left hand side. Click on Permitted Services. You should then see a list of authorized apps. Locate Buffer and click Remove. Select your LinkedIn account on the left hand side of your dashboard and then click on Settings > Reconnect. From that point, you should be all set you and can retry any failed posts in your Queue. In order to reconnect a LinkedIn Page, your personal LinkedIn Profile will either need to be the owner of the Page or alternatively have the "Page Admin" role. 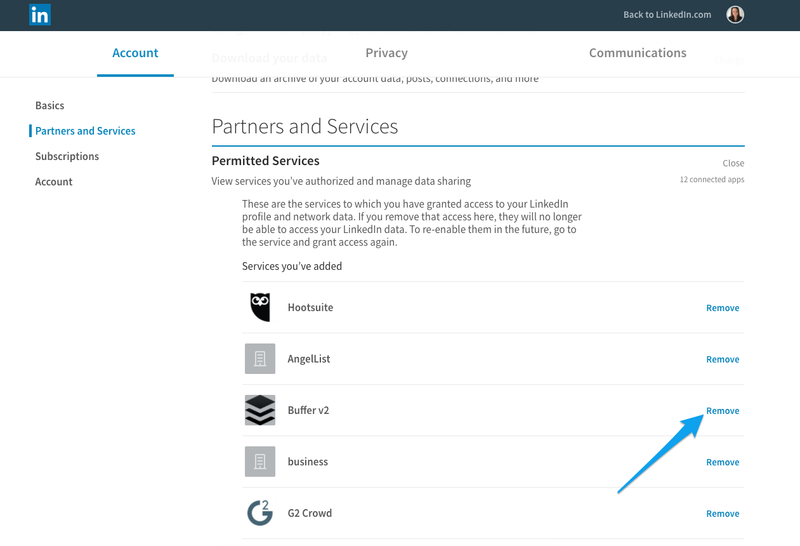 If multiple LinkedIn Pages have become disconnected, and they were authorised through your own personal LinkedIn Profile, reconnecting one of them should also reconnect the rest. Head over to your Pinterest account, click on the three vertical dots at the top left of your account and then click on Edit settings. From there, click Apps on the left hand side. You should then see a list of authorized apps. Locate Buffer and click Revoke access. 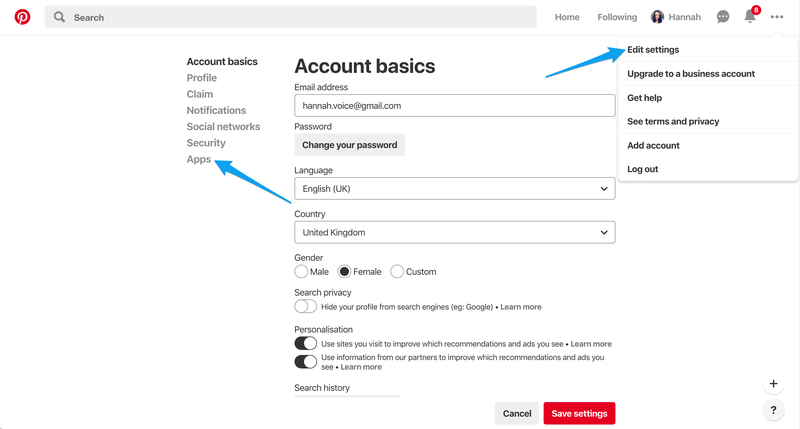 Select your Pinterest account on the left hand side of your dashboard and then click on Settings > Reconnect. From that point, you should be all set you and can retry any failed posts in your Queue.